Did you recently say “I do” to the love of your life? Planning a wedding is one of the most exciting life experiences! Afterward, it’s a great idea to leave that wedding stress behind and escape to a private, beautiful place together. Once your venue is booked and the menu is chosen, it’s time to start browsing ideas for your honeymoon. If a trip to a majestic mountain landscape sounds like a dream come true, consider a North Georgia Honeymoon at Glen-Ella Springs Inn! 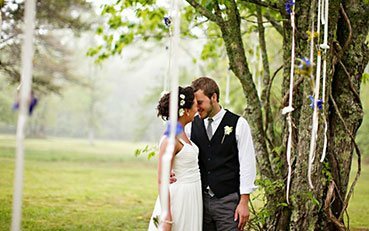 Before packing your bags for a beautiful and intimate North Georgia Honeymoon, be sure to create an itinerary! You and your sweetheart will want to spend time dining in romantic restaurants, finding stunning views, and discovering the region’s best-kept secrets. For a complete list of North Georgia’s most romantic attractions and activities, request access to our free Vacation Guide! This valuable resource has helped so many couples achieve the honeymoon of their dreams, so get your copy today! 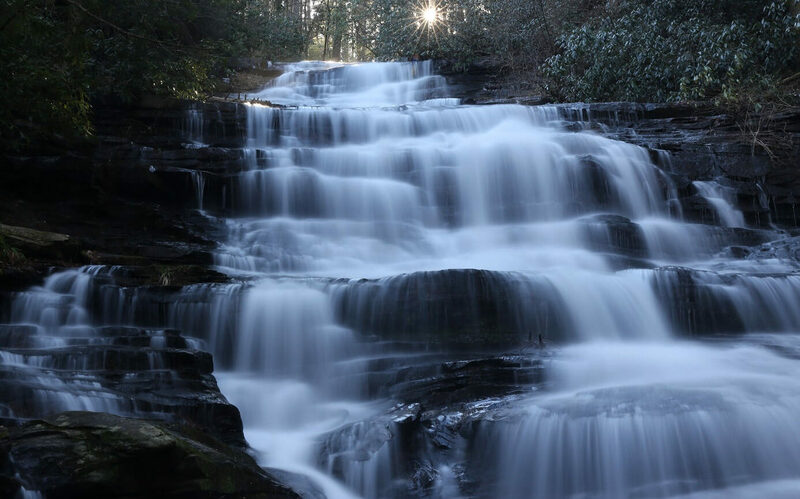 The mountains of North Georgia provide an ideal, tranquil environment for the best low-key honeymoon with your sweetheart. Each beautiful room at Glen-Ella Springs Inn, North Georgia’s finest bed and breakfast, features a soft bed and gorgeous, rustic decor. Look through any window and you’ll see breathtaking views of the surrounding scenery! 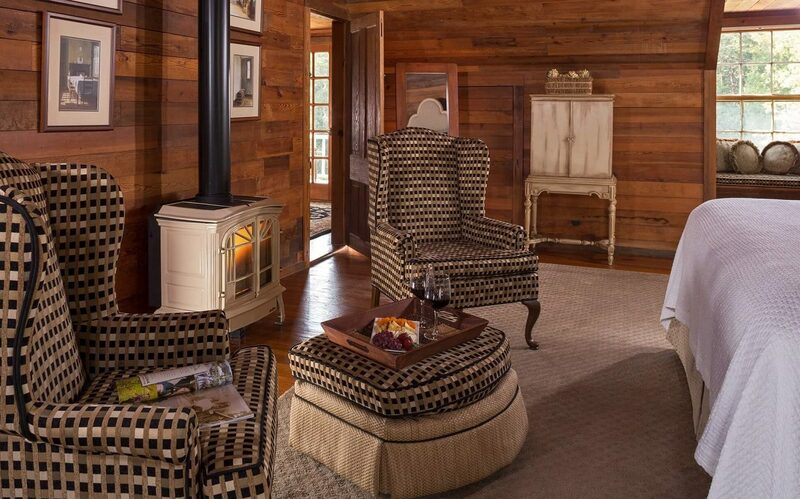 Covered porches equipped with rocking chairs are attached to every room, so you can sit and relax with your spouse. Sometimes, there’s nothing more enjoyable than breathing in the crisp mountain air with your partner, cup of coffee in hand! Each bathroom boasts deluxe toiletries, cozy bathrobes, and (in some suites) a jetted tub! Finally, a romantic southern dinner is right at your fingertips when you stay with us for your honeymoon. Our on-site restaurant is just steps away from your cabin-chic suite. 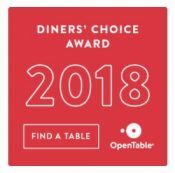 That means you don’t have to travel far to find a warmly lit, romance-ready meal featuring award-winning dishes. The town of Clarkesville, Georgia, is surrounded by plenty of amazing activities perfect for honeymoons. Hiking is one of the best things to experience in this gorgeous part of the South. You and your adventurous spouse will find that this area is overflowing with fantastic trails, sparkling waterfalls, and panoramic valley views. Other romantic things to do in the area include strolling through farmers markets, taking scenic drives, and going horseback riding. Additionally, if you and your sweetheart love wine tasting, be sure to plan a trip to Tiger Mountain Vineyards! Did you know that North Georgia produces some of the country’s finest wines? Come and taste for yourself! 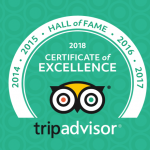 The best way to transform your North Georgia honeymoon into a truly special experience is to take advantage of one of our many specials and packages! Our Romantic Getaway Package, in particular, is a fabulous way to spoil your sweetie. This package includes a dinner for two in our restaurant, a goodie basket, and a discount on spa services. 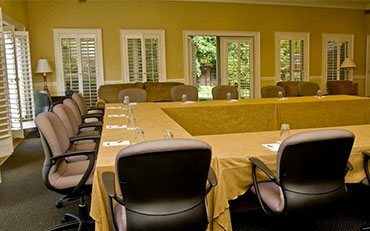 If you’re ready to choose Glen-Ella Springs Inn as the site of your magical Georgia honeymoon, don’t hesitate! Check our availability right now and choose your perfect home-away-from-home! If you’re still in the process of choosing a venue for the big day, we can help with that, too. Glen-Ella weddings are breathtakingly beautiful outdoor ceremonies for up to 150 guests. Fall in Love with One of the Best Romantic Getaways in North Georgia! Where Are the Most Beautiful Gardens in Georgia?